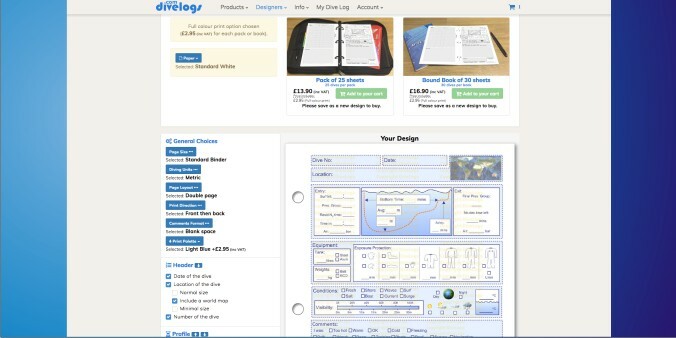 DiveLogs - All About Us. 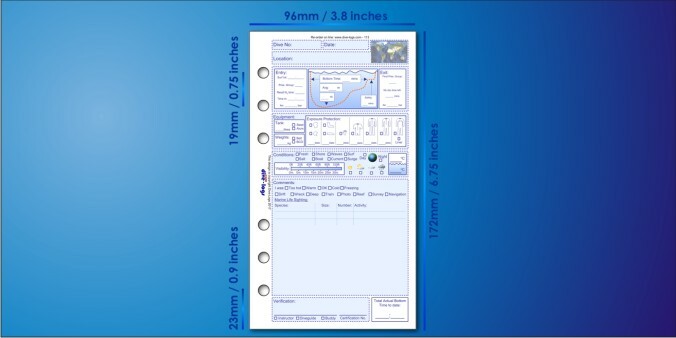 Our first designs are available in a standard 3-ring format while we wait for our new compact binder to be produced. 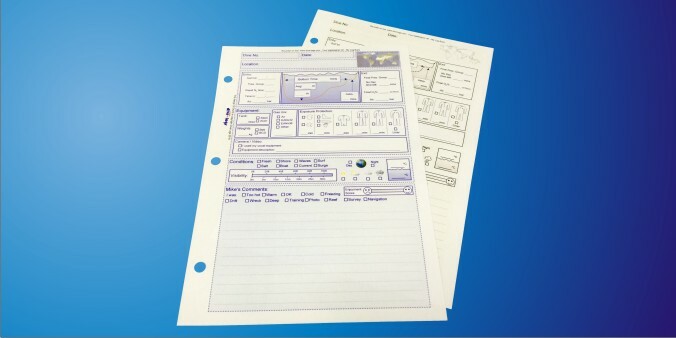 Standard, Nature, and Photo log page refills. 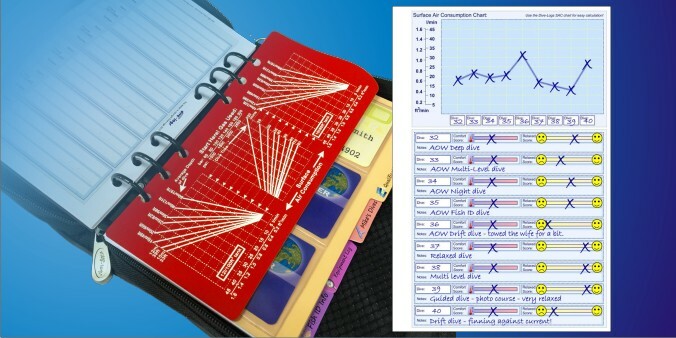 Our compact 6-ring binder arrives. 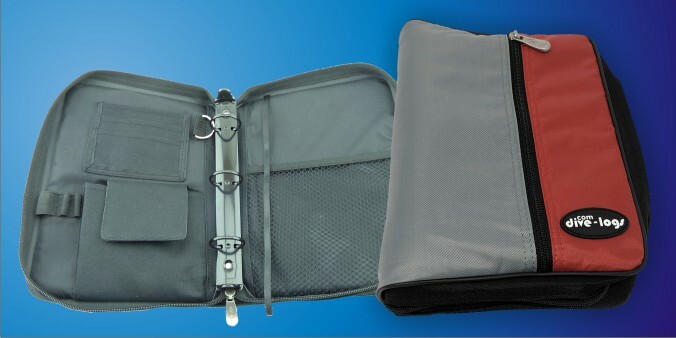 Designed to be packing friendly, lightweight and tough, with a blue and grey outer. 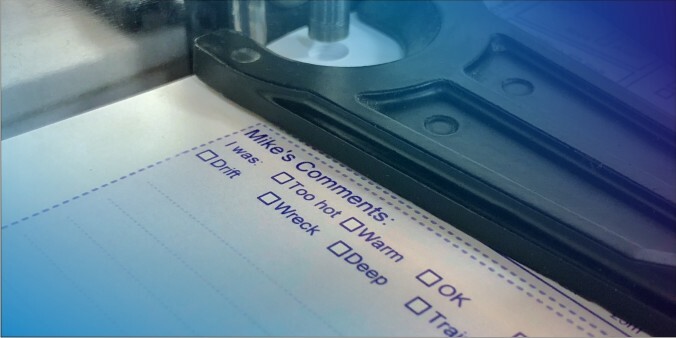 All our refill logs are also available in our new size. 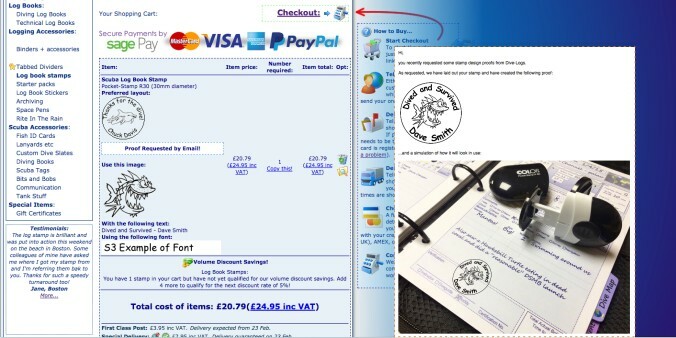 A new sideline appears as log book stamps are added to our range. 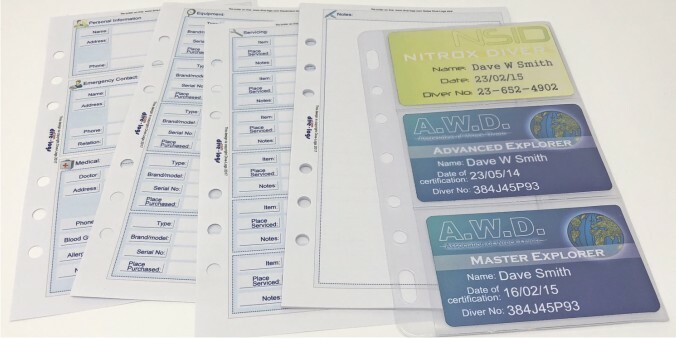 Providing an easy entry to our DiveLogs system, Starter Packs were introduced consisting of a binder, log pack choice and special pages all wrapped up in a discounted package. 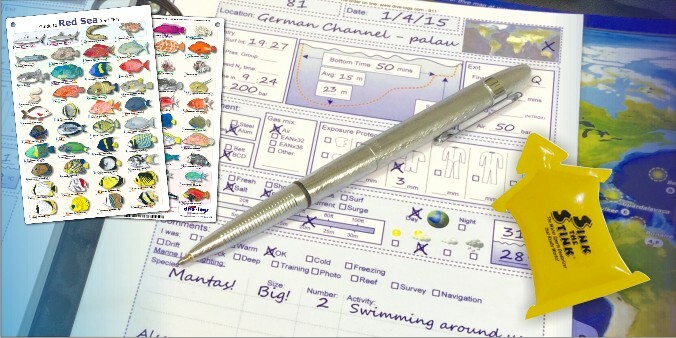 A world first, our Log Designer Service appears, allowing divers to pick from over 10 million possible combinations and design their perfect dive log design. 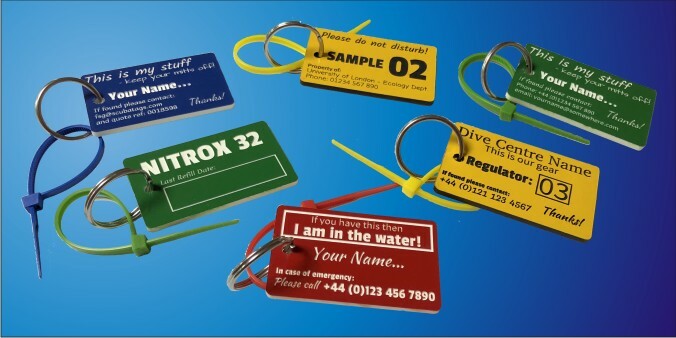 A new indelibly engraved strong plastic gear marking tag is added in a range of colours. 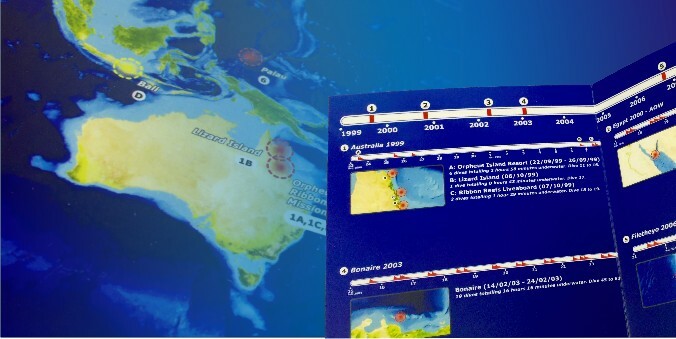 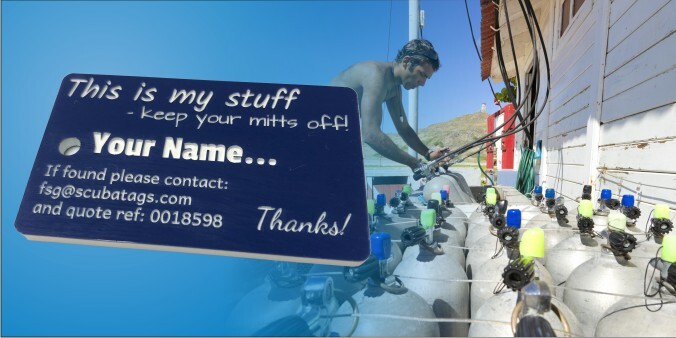 A free information resource website Big Blue Planet is launched, initially with 250 known dive locations around the world. 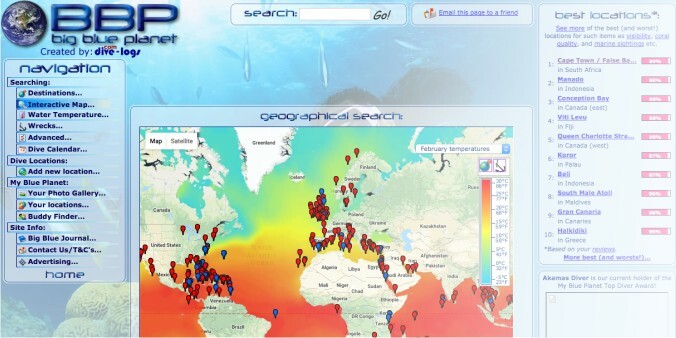 Soon this expands to 650 locations from visiting Diver input and reviews. 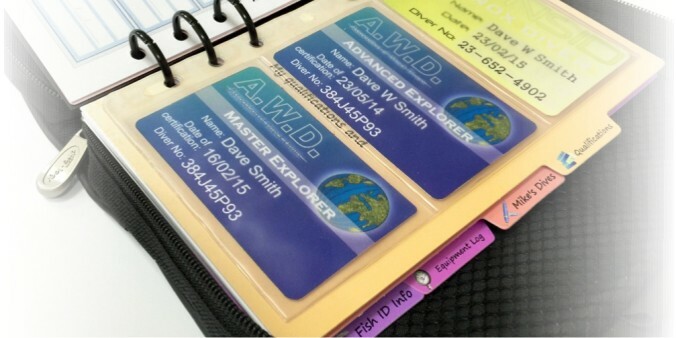 We design and produce the worlds first universal plastic wallet for certification cards designed to fit 6-ring and 3-ring binder systems. 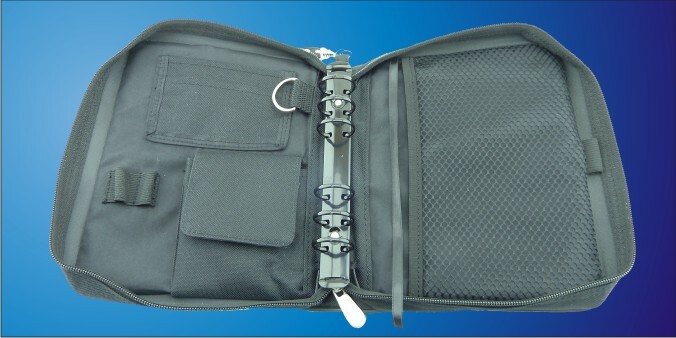 A 3-ring version of our compact 6-ring binder appears. 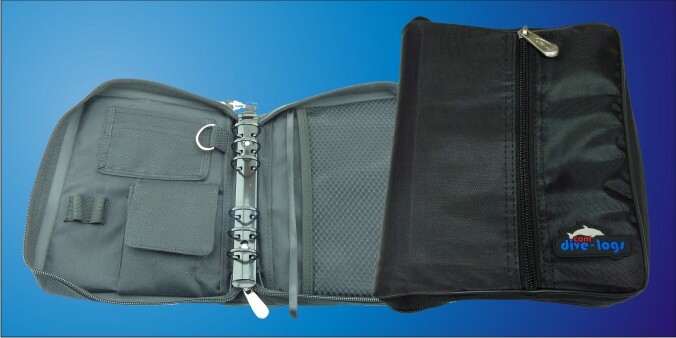 Fitted with the industry standard 3-ring mechanism, it is still designed to be more compact and packing friendly than conventional cordura Dive Log Binders. 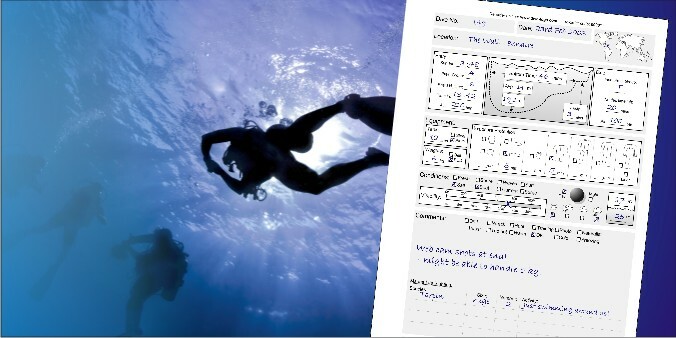 Introduction of value for money dedicated archiving binders for dive logs from past holidays. 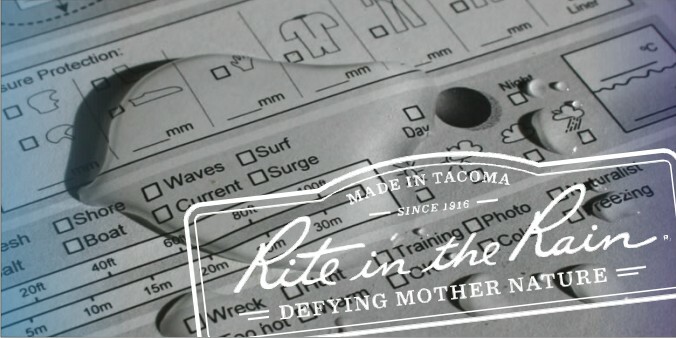 An incredible material, Rite In The Rain paper is introduced as an optional upgrade on every log page we sell. 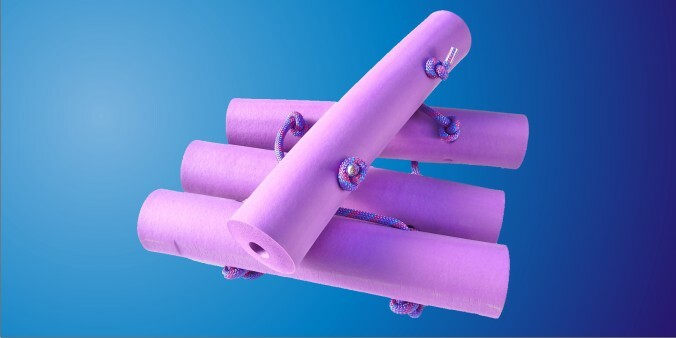 Not plastic, fully recyclable, but fantastically waterproof. 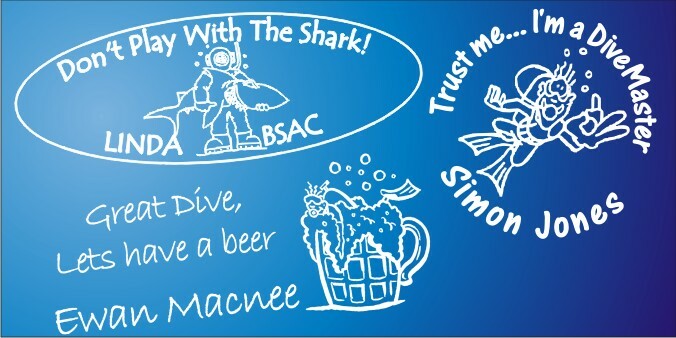 Simon Cooke from The Cartonnery, starts drawing a new range of perfect logos for our log book stamps. 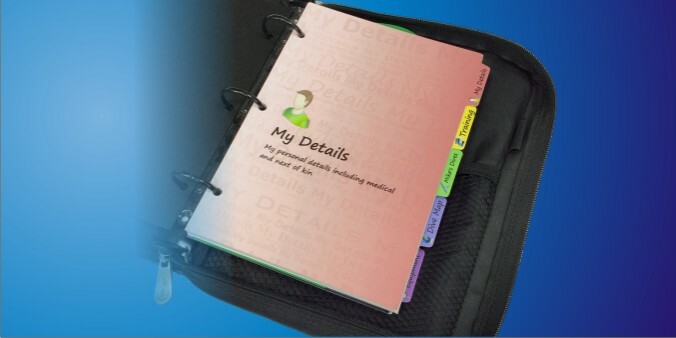 We extend the Log Designer service to include the smallest page size we do - the Personal Organiser size. 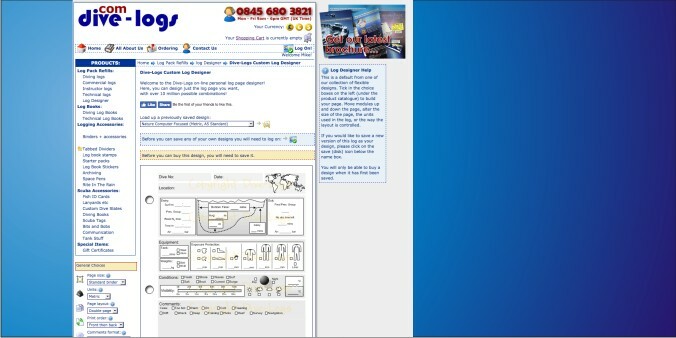 A complete revamp of the main website was launched. 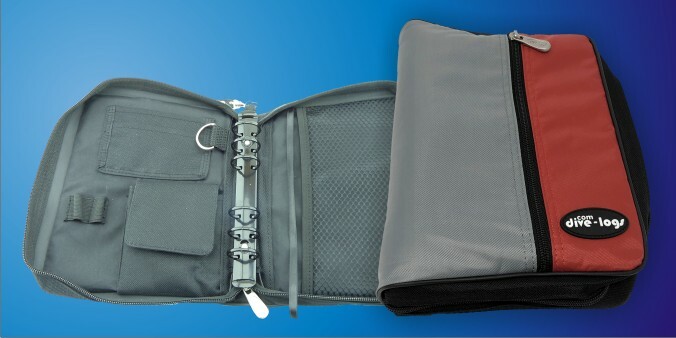 A new colour scheme joins our current blue/grey compact binder with a red/grey version added. 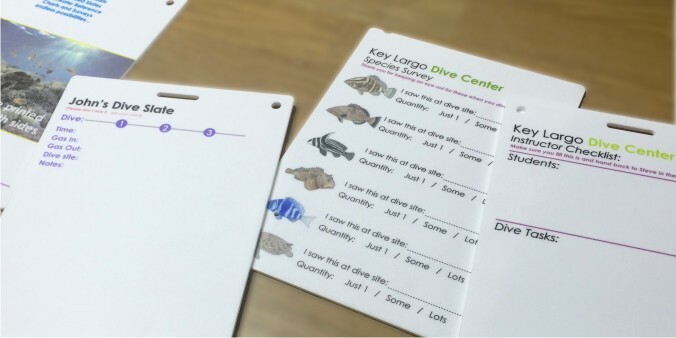 Helping divers monitor their Surface Air Consumption rate was the focus for a set of new inserts and a special placeholder for our binders with a specially created graphical calcxulator for SAC rates. 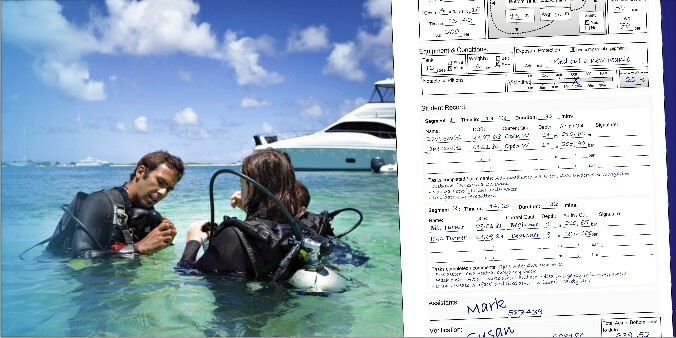 With the help of CCR divers we add a new technical dive log refill line. 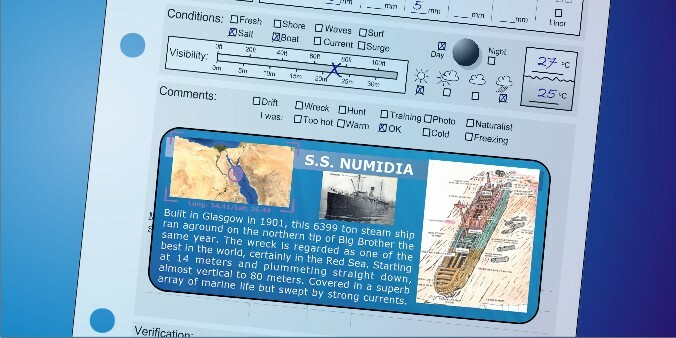 We create a new range of log book stickers for the Red Sea Wrecks with Peter Collings. 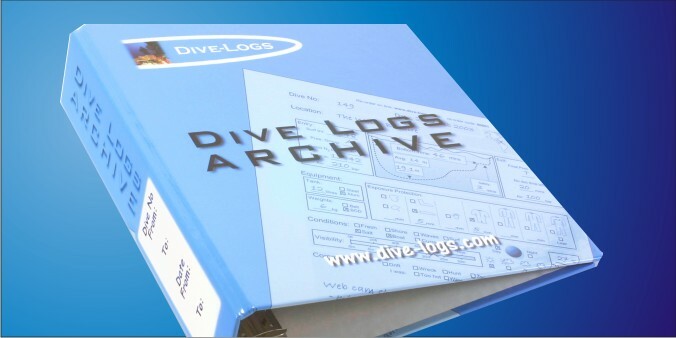 A new full colour print option is available across the full dive log range. 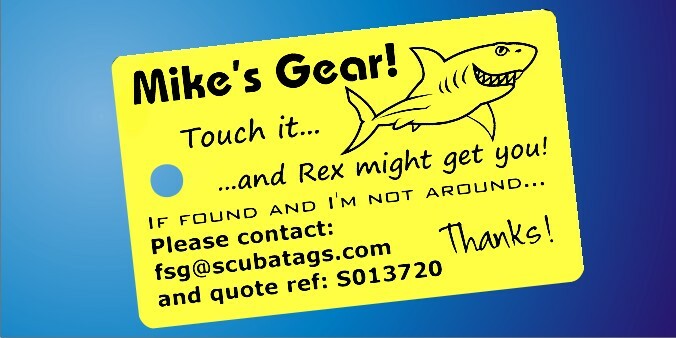 Always on the lookout for new and unusual accessories we add a few more from Gear Marker Paint to Flexible Tank racks. 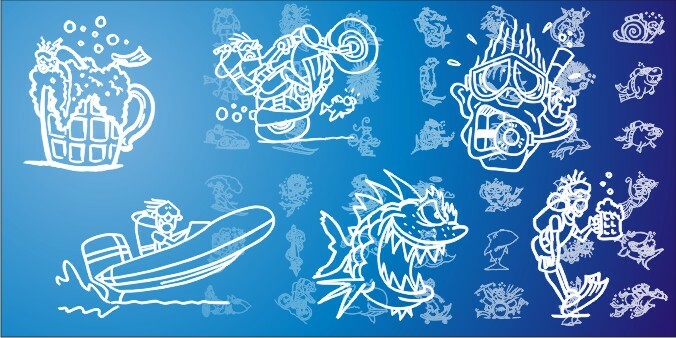 The Scubatag Designer is now extended with a new feature to include your own logos. 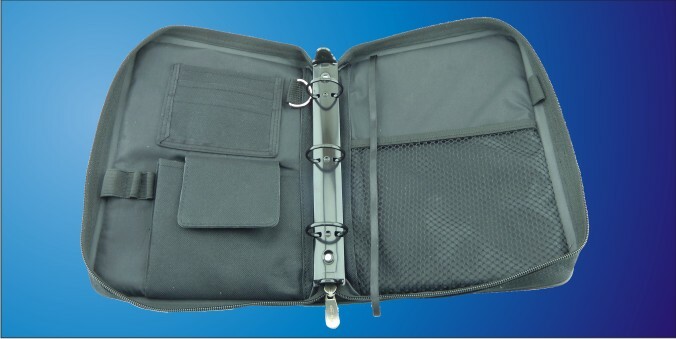 The compact 6-ring binder gets a boost with a new fully black version.